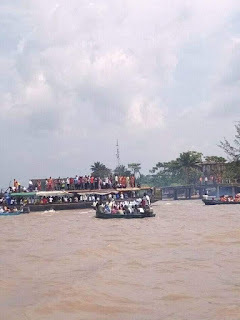 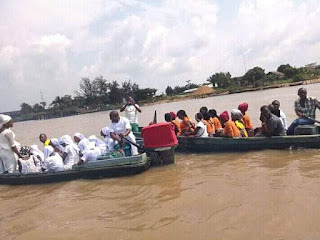 Home Latest news OMG: St Ann Catholic Parish Burutu, Delta State celebrates 2018 Christ the King inside river(photo). 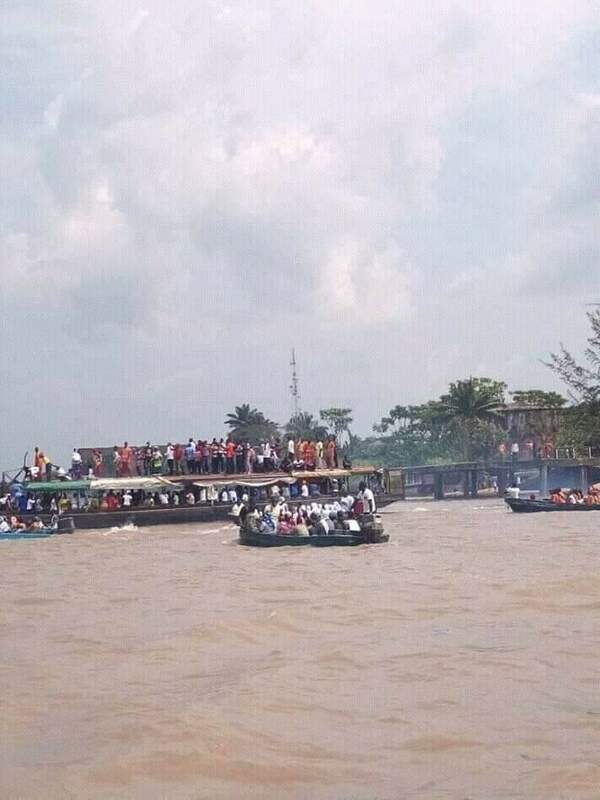 OMG: St Ann Catholic Parish Burutu, Delta State celebrates 2018 Christ the King inside river(photo). 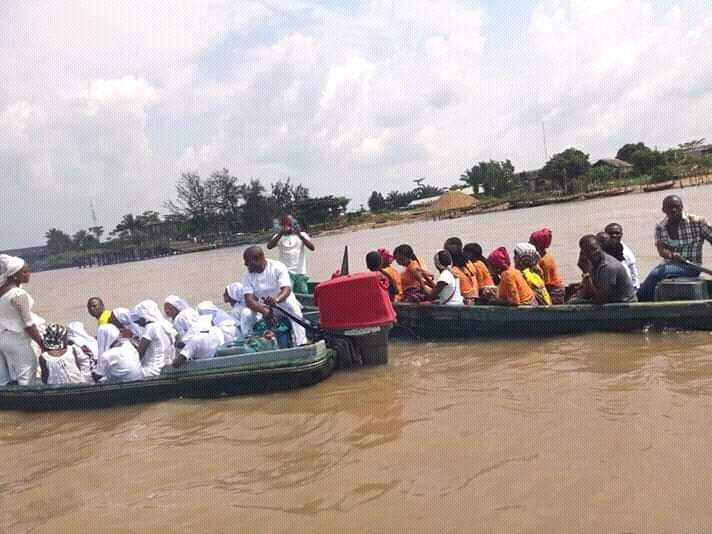 Christ the king procession took another level as members and the priest where in the boat doing the celebration. 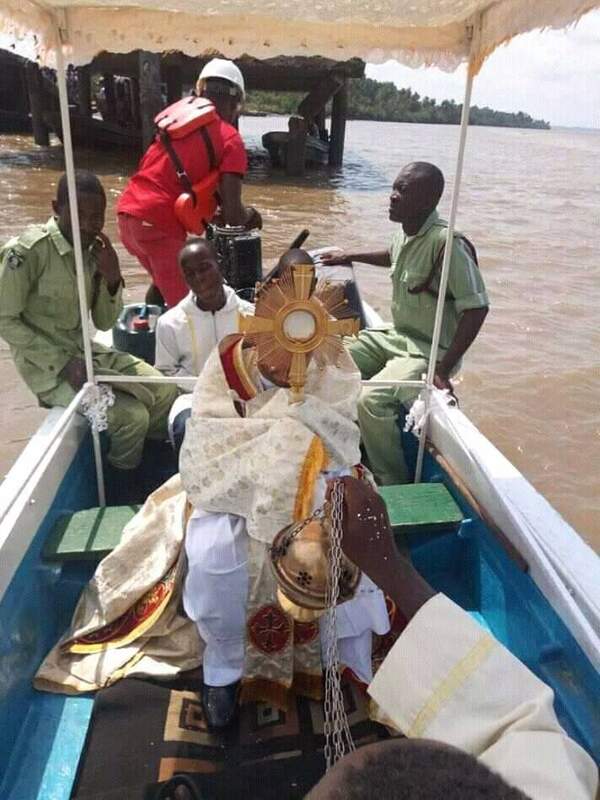 According to reports the congregation led by Fr Bruno Douglas took the decision to celebrate this year's Christ the King in a grande style.